In this Japanese name, the family name is “Ueshiba“. Morihei Ueshiba (植芝 盛平 Ueshiba Morihei, December 14, 1883 – April 26, 1969) was a famous martial artist and founder of the Japanese martial art of aikido. He is often referred to as “the founder” Kaiso (開祖) or Ōsensei (大先生/翁先生), “Great Teacher”. The youngest son of Yoroku and Yuki Ueshiba’s five children, Morihei was raised in a somewhat privileged setting. His father was a rich landowner who also traded in lumber and fishing and was politically active. Ueshiba was a rather weak, sickly child and bookish in his inclinations. At a young age his father encouraged him to take up sumo wrestling and swimming and entertained him with stories of his great-grandfather Kichiemon who was considered a very strong samurai in his era. The need for such strength was further emphasized when the young Ueshiba witnessed his father being attacked by followers of a competing politician. At about the age of 14 or 15. First I learned Tenjin Shin’yō-ryū Jujutsu from Tokusaburo Tozawa Sensei, then Kito-ryu, Yagyu-ryu, Aioi-ryu, Shinkage-ryu, all of those jujutsu forms. However, I thought there might be a true form of budo elsewhere. I tried Hozoin-ryu sojitsu and kendo. But all of these arts are concerned with one-to-one combat forms and they could not satisfy me. So I visited many parts of the country seeking the Way and training, but all in vain. … I went to many places seeking the true budo. Then, when I was about 30 years old, I settled in Hokkaido. On one occasion, while staying at Hisada Inn in Engaru, Kitami Province, I met a certain Sokaku Takeda Sensei of the Aizu clan. He taught Daito-ryu jujutsu. During the 30 days in which I learned from him I felt something like an inspiration. Later, I invited this teacher to my home and together with 15 or 16 of my employees became a student seeking the essence of budo. The technical curriculum of aikido was undoubtedly most greatly influenced by the teachings of Takeda Sokaku and his system of aiki-jūjutsu called Daitō-ryū. Although disputed by some, the ledger books of Takeda clearly show that Ueshiba spent a great deal of time training in Daitō-ryū between 1915 and 1937. He received the majority of the important scrolls awarded by Takeda at this time including the Hiden Mokuroko, the Hiden Ogi and the Goshin’yo te. Ueshiba received his kyoju dairi certificate, or teaching license, for the system from Takeda in 1922. Takeda had not yet implemented a menkyo license, or highest level of achievement license, into his system at this time. He also received a Kashima Shinden Jikishinkage-ryū sword transmission scroll from Takeda in 1922 in Ayabe. Ueshiba then became a representative of Daitō-ryū, toured with Takeda as a teaching assistant and taught the system to others under the Daitō-ryū name. The basic techniques of aikido seem to have their basis in teachings from various points in the Daitō-ryū curriculum. A source of confusion is the different names used for these techniques in aikido and in the Daitō-ryū system. In part this is because Takeda Tokimune added much of the nomenclature after the period in which Ueshiba studied. In addition the names ikkajo, nikajo, sankajo used in both Daitō-ryū and the early years of aikido, latter supplanted by terms such as ikkyo, nikyo, sankyo, were really generic names translating to “first teaching”, “second teaching”, and so on. In Daitō-ryū these usually refer to groupings of techniques while in aikido they usually refer to specific techniques and joint manipulations. In the earlier years of his teaching, from the 1920s to the mid-1930s, Ueshiba taught the aiki-jūjutsu system he had earned a license in from Takeda Sokaku. His early students’ documents bear the term aiki-jūjutsu. Indeed, Ueshiba trained one of the future highest grade earners in Daitō-ryū, Takuma Hisa, in the art before Takeda took charge of Hisa’s training. The early form of training under Ueshiba was characterized by the ample use of strikes to vital points (atemi), a larger total curriculum, a greater use of weapons, and a more linear approach to technique than would be found in later forms of aikido. These methods are preserved in the teachings of his early students Kenji Tomiki (who founded the Shodokan Aikido sometimes called Tomiki-ryū), Noriaki Inoue (who founded Shin’ei Taidō), Minoru Mochizuki (who founded Yoseikan Budo), Gozo Shioda (who founded Yoshinkan Aikido). Many of these styles are considered “pre-war styles”, although some of the teachers continued to have contact and influence from Ueshiba in the years after the Second World War. In 1969, Morihei Ueshiba became ill. He died suddenly on April 26, 1969 of cancer. 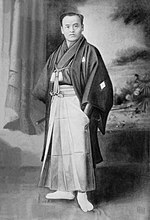 Two months later, his wife Hatsu (植芝 はつ; Ueshiba Hatsu, née Itokawa Hatsu; 1881–1969) died in turn. His son Kisshomaru Ueshiba carried forward. To this day, Ōmoto-kyō priests oversee a ceremony in Ueshiba’s honor every April 29 at the Aiki Shrine in Iwama. 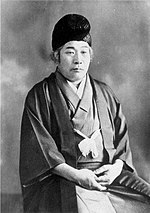 Kenji Tomiki (1900–1979) since 1926, was the first 8th dan awarded in aikido in 1942. Minoru Hirai (1903–1998) since 1939, founder of the Korindo style. Gaku Homma (born 1950) was the last uchideshiUeshiba trained before he died. Roy Suenaka (born 1940) since 1961, 8th dan, founder Wadokai Aikido. Morihei Ueshiba regularly practiced cold water misogi, as well as other spiritual and religious rites. He viewed his studies of aikido in this light. As a young man, Ueshiba was renowned for his incredible physical strength. He would later lose much of this muscle, which some believe changed the way he performed aikido technique. Ueshiba was said to be a simple but wise man, and a gifted farmer. In his later years, he was regarded as very kind and gentle as a rule, but there are also stories of terrifying scoldings delivered to his students. For instance, he once thoroughly chastised students for practicing jō (staff) strikes on trees without first covering them in protective padding. Another time, as students sneaked back into the dojo after a night of drinking and brawling, he smashed the first one through the door over the head with a bokken (wooden practice sword), and proceeded to scold them. Morihei Ueshiba played the game of Go often. During one game with Sokaku Takeda, Takeda utilized the Goban as a weapon against a man he mistook for an assassin. The “assassin” was actually a friend of Ueshiba, and had arrived in a scarf due to bad weather. The scarf hid the man’s identity, triggering Takeda’s paranoia as, at the time, many people actually were trying to kill him. Medal of Honor (Japan), 1960. Order of the Rising Sun, Gold Rays with Rosette, 1964. Order of the Sacred Treasure (Japan), 1968. ^ a b c d e f Pranin, Stanley (2006). “Ueshiba, Morihei”. Encyclopedia of Aikido. ^ a b Ueshiba, Morihei (1992). The Art of Peace. Boston, Massachusetts: Shambhala Publications, Inc. pp. 5–10. ISBN 0-87773-851-3. ^ Stevens, John.Aikido; the Way of Harmony. Shambhala Publications, Boston, 1984. ^ Pranin, Stanley (2006). “Ikkyo”. Encyclopedia of Aikido. ^ a b Pranin, Stanley (2006). “Aikijujutsu”. Encyclopedia of Aikido. ^ Pranin, Stanley (2006). “Hisa Takuma”. Encyclopedia of Aikido. ^ Pranin, Stanley (2006). “Ueshiba-ryu”. Encyclopedia of Aikido. ^ Pranin, Stanley (2006). “Aiki Budo”. Encyclopedia of Aikido. ^ Pranin, Stanley (2006). “Aikido”. Encyclopedia of Aikido. ^ Ueshiba, Kisshomaru. Aikido Hozansha Publications, Tokyo, 1985. ^ Morihei Ueshiba’s Second Vision from the Oregon Graduate Institute’s Aikido Club. ^ Speaking of a vision of the “Great Spirit of Peace” in 1942, during World War II, as quoted in Adjusting Though Reflex: Romancing Zen (2010) by Rodger Hyodo, p. 76. ^ Stevens, John. Invincible Warrior. ISBN 1-57062-394-5. A Day in the Life of the Founder Morihei Ueshiba, April 1968 – By Gaku Homma. This page was last modified on 23 April 2013 at 14:05.